"The Wakefield School Department has a history all its own. Responsible for the education of hundreds of thousands of school-age children over the years, the department's growth and development is indicative of the importance the town has placed on quality education. 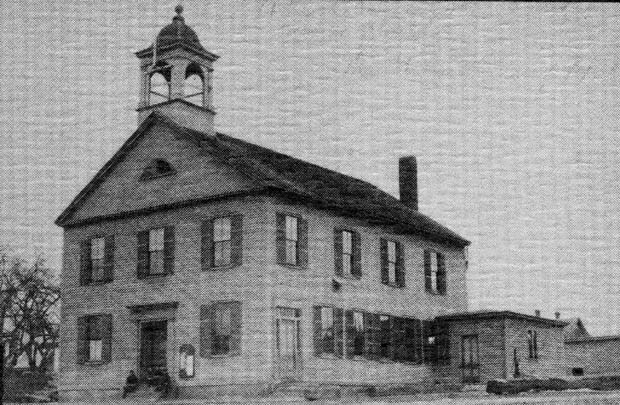 To adequately educate the growing number of students in Wakefield during the late 1800s and early 1900s, ten schools were erected, and by 1944, students enrolled in the Wakefield Public School System attended one of these schools: the West Ward School (1847) the Hamilton School (1883) the Lincoln School (1892) the Warren School (1897) the Greenwood School (1897) the Hurd School (1899) the Franklin School (1902) the Montrose School (1918) the Woodville SChool (1920) and the High School (the former Atwell School destroyed by fire in 1972 - built in 1923). A number of these schools have been expanded and remodeled since then. After 1944, the following schools were built: the Memorial Building (now the Junior High School), the new Atwell School, Doyle, Walton, Dolbeare, Yeuell and the Wakefield High School on Farm Street. Appropriations for the schools have changed from $2,700 in 1844 to $62,900 in 1910 to the 1986 appropriation of $12 million. The number of school personnel has also changed dramatically, from 107 teachers in 1944 to the present day number of 289. At the turn of the century, 1,896 students were enrolled in the Wakefield School system. Enrollment reached an all-time high in 1968, with 5,667 students and has dipped to 3,398 students for the 1986-1987 school year." -- Text from calendar. ;Captions: 1. Wakefield High School, December 25, 1897 on the corner of Common and Lafayette Street. The building, formerly the Lafayette School, was remodeled in 1938 and became the Wakefield Town Hall in 1962. -- 2. 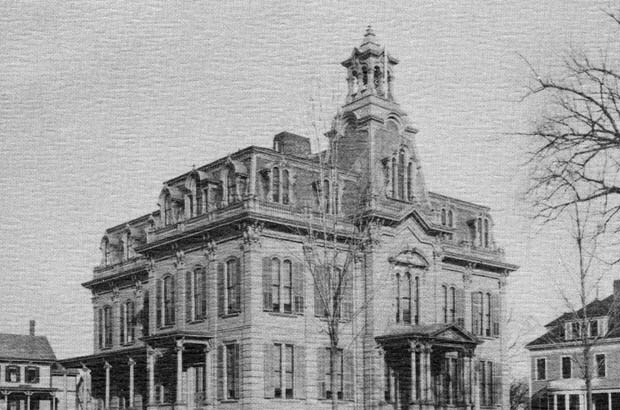 The Old Academy Building which later became the High School. The Lincoln School now stands on the site. -- 3. The Warren School 1st grade, June 21, 1933. “School department,” NOBLE Digital Heritage, accessed April 22, 2019, https://digitalheritage.noblenet.org/noble/items/show/6845.